[PDF] Life on Planet Rock: From Guns N' Roses to NIRVana, a Backstage Journey Through Rock's Most Debauched Decade | Free eBooks Download - EBOOKEE! Description: For the generation coming of age in the years from 1987 to 1994, RIP magazine was every bit as crucial as Rolling Stone. 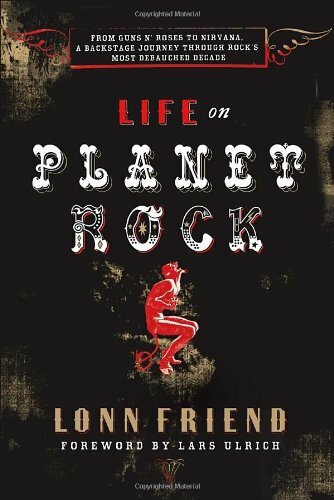 Life on Planet Rock describes how Lonn Friend, the editor of RIP, became the Zelig-like chronicler of the biggest musical moments of that timeâ€”from introducing Guns Nâ€™ Roses (in nothing but a top hat, underwear, and cowboy boots) to sitting in during the making of Metallicaâ€™s Black Album. Life on Planet Rock provides revealing portraits of artists as varied as Kurt Cobain, Gene Simmons, Alice Cooper, Axl Rose, James Hetfield, Steven Tyler, and many more. Part oral history, part candid and humorous memoir, it is a wormhole back to a fast-moving time in music that saw tastes flash from new wave to hair metal to grunge, told as only someone who was there through it all could tell it. No comments for "[PDF] Life on Planet Rock: From Guns N' Roses to NIRVana, a Backstage Journey Through Rock's Most Debauched Decade".